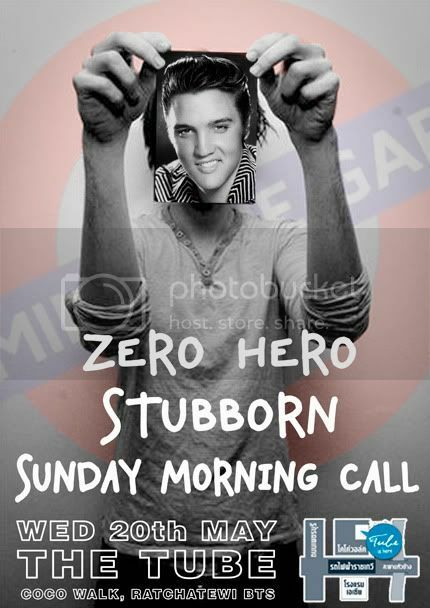 Zero Hero are back at Mind The Gap. These guys always give us a great show, their songs and sound set them apart from all the regular bands out there. Their shows always hit hard and I'm sure we will see a lot of people out to see them. We also have Stubborn playing their first show for Mind The Gap. The band are based in Bangkok and used to be songwriters for Butterfly Records, they decided that they wanted to start their own band with a more upfront rockier sound and the result is Stubborn. Sunday Morning Call played one of their first shows with us when we were at Noriegas in Silom. They have quite a lot of brit pop influences, lets see how they've progressed since last time.